Teething can be a real pain for baby but you can help eliminate some of that discomfort with a teething ring that's customized for the specific tooth coming in. 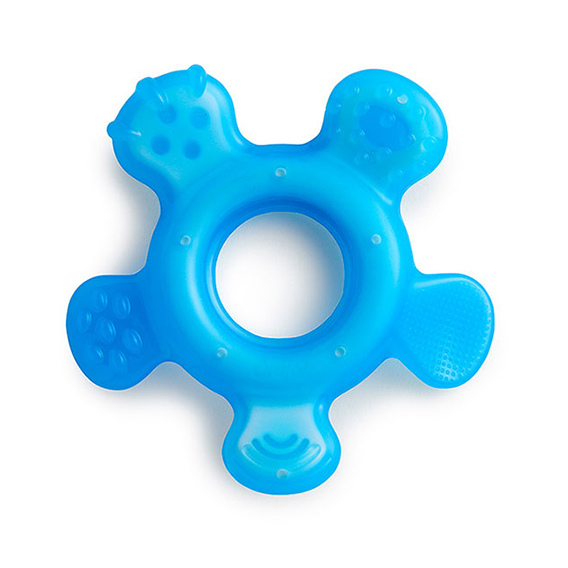 The Orajel® Back Teeth Teether Toy helps stimulate tender gums as back teeth begin breaking through sensitive gums. Made of safe, soft silicone, the textured toy is BPA- and PVC-free and encourages baby to chew. Perfectly sized for little hands and mouths, it includes five narrow teething arms sized to reach molars and gums in the back of baby's mouth. The soft, wavy pattern and micro-textured silicone massages gums and cleans baby's tongue simultaneously. When baby's gums are sore from teething, you can trust in the #1 teething brand recommended by pediatricians.